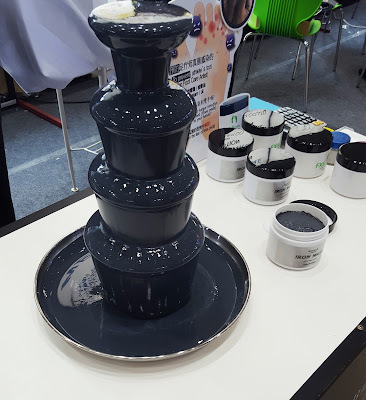 Last week I was able to attend the13th International Beauty Expo Korea, in conjunction with the KoNail Fair. If you follow my social media you were able to get a sneak at a few of the innovations I spotted. 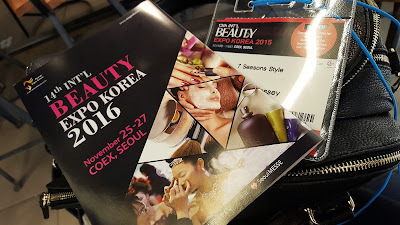 I spent a day there exploring the booths and seeing what was trending in the world of skincare and beauty in Asia. Face masks. 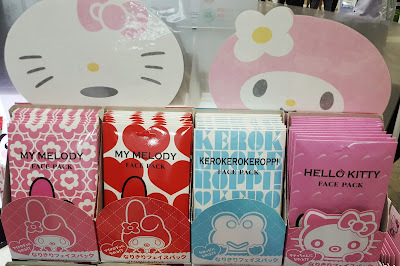 Sheet masks are always really popular, but they had such a variety this time. 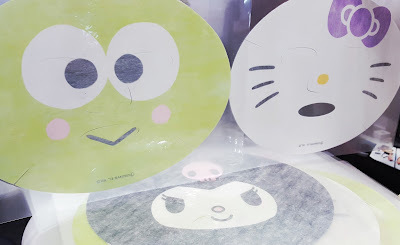 Usually the mask is just white but now character and animal masks are gaining popularity. 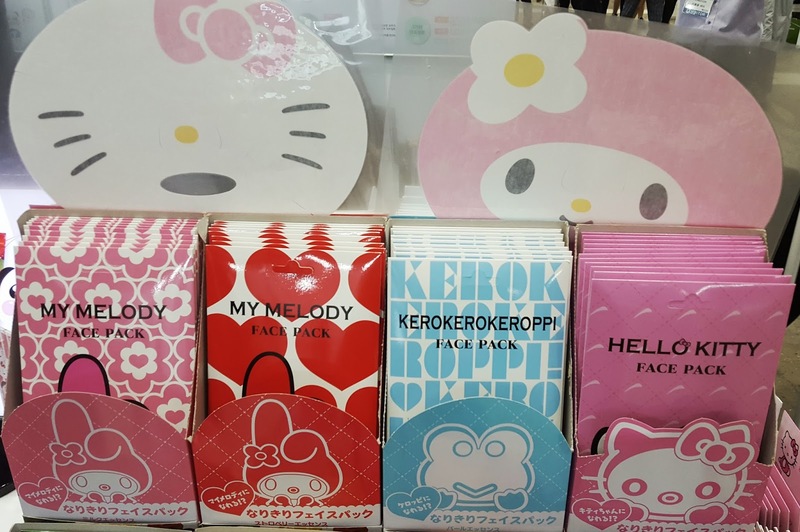 Check out these Hello Kitty masks! Adorable! Not only are the masks cute but they are also filled with skin care properties that leave you feeling moisturized and renewed. LOL! Sorry for all the junk food. 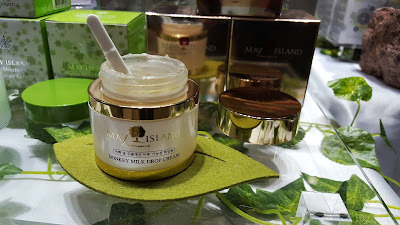 Heal my skin masks. 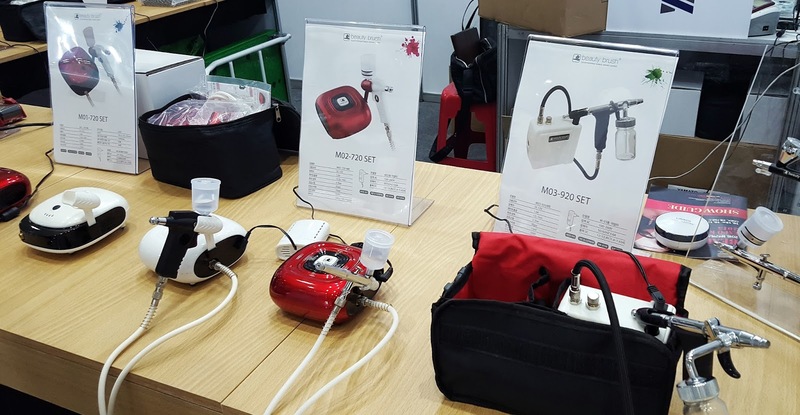 Face tools and pulsating makeup applicators. So many tools to exfoliate, cleanse, and massage your face. Then you can use various tools to finish your look including full size professional airbrush makeup machines, and mini airbrush makeup sponges to give you the flawless look (think beautyblender with a pulsating core). Unusual ingredients. 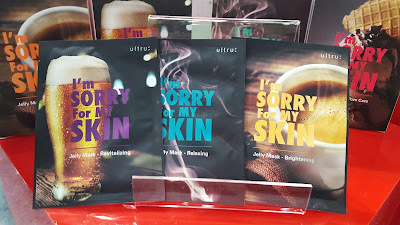 This is not especially new to Korea as it is the land that brought you snail creams and bee venom serums, but new things that I saw being used in skincare included cactus oil, donkey milk, goat cheese (not milk, cheese), and magnetic ingredients (you use a magnet to pull the mask from your face). Iron mask fountain. Magnets are run over the face to remove the mask and unclog pores. 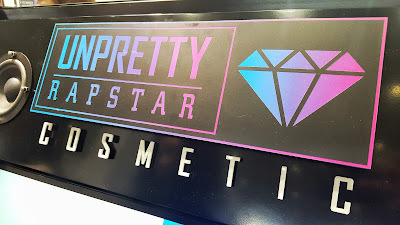 One new cosmetic brand I am super excited about is Unpretty Rapstar Cosmetic. I’ve been using some of the products I picked up and I’m impressed. Full review will be out in a week so check back for more. I have already written a couple articles about the KoNail Fair that was happening at the same time, so check them out here and here.